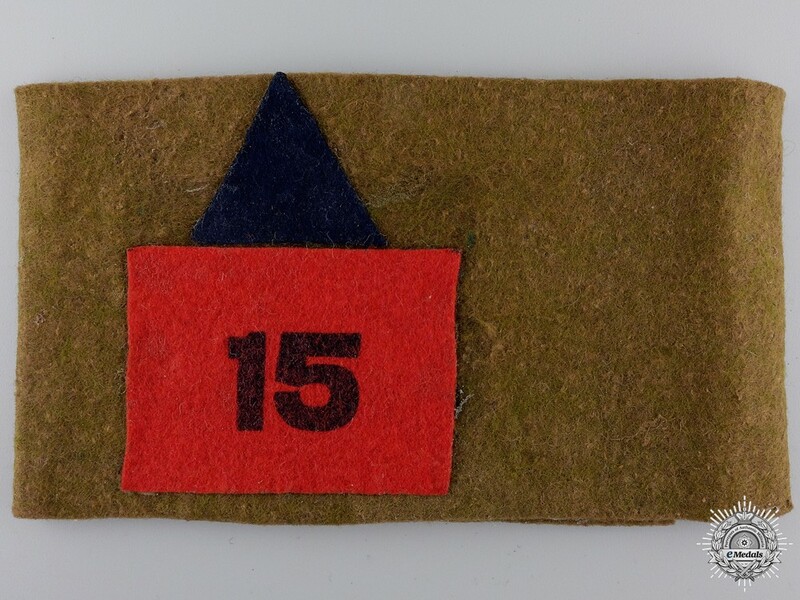 A WWI 15th Infantry Battalion "48th Highlanders of Canada" Reunion Armband - Navy blue wool triangle sewn above a red wool rectangle with "15" screen-printed in navy blue, the red representative of the 1st Canadian Division, on an brownish-green wool armband, 90 mm x 425 mm, soiling on the right end that wraps around, extremely fine. (C:4) Footnote: The Battalion was raised in Ontario and Quebec and mobilized at Camp Valcartier, Quebec under the authority of P.C.O. 2067, August 6, 1914. The Battalion sailed October 3, 1914 with a compliment of 44 officers and 1,109 other ranks under the command of Lieutenant-Colonel J.A.Currie. 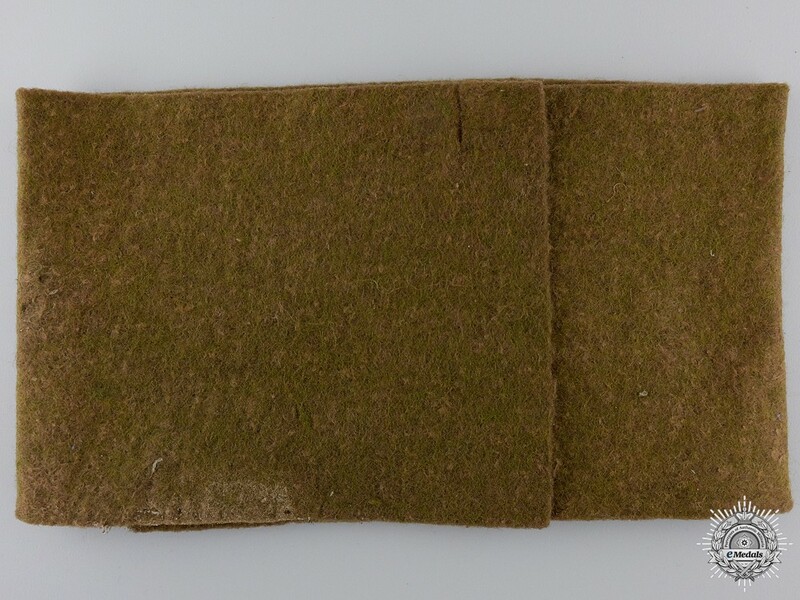 The Battalion served in France and Belgium with the 3rd Infantry Brigade, 1st Canadian Division.